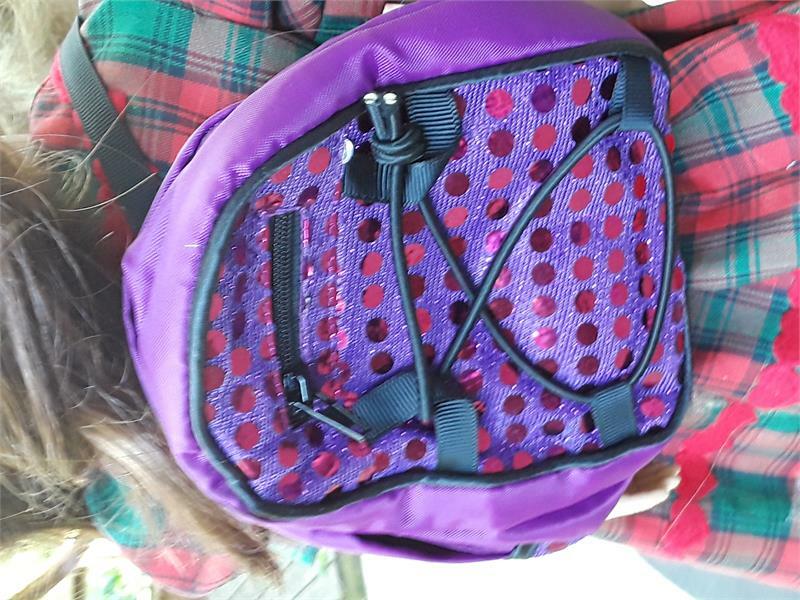 purple sequin backpack, goes on easily over the shoulders. 2 zippers. perfect for school, camping, etc.